War plays itself out on a literal battlefield, but it also makes its way into every aspect of our lives well beyond that—including technological. 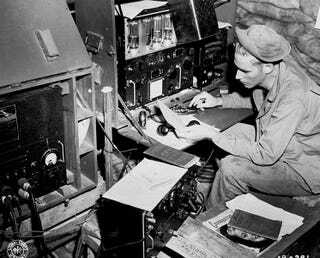 Here, a soldier explains how a basic technology has changed the way soldiers live. I’m an officer in my state’s National Guard. The biggest change in my 10 years that I’ve seen is the increased reliance on cellphones. This is generally only state-side but I saw it creeping into my rotation in Kuwait as well. We don’t have the same old school daily formation and/or regularly checking in with your front line supervisor to let him/her know what you’re up to; now you’ll receive a text or a call if you’re needed. Changes I’d like to see is a stronger push to unified or at least communicating computer systems. For example: Our CONUS medical system doesn’t talk to our OCONUS medical system, and neither talk to the VA medical system. Doesn’t make much sense, but welcome to the Army.